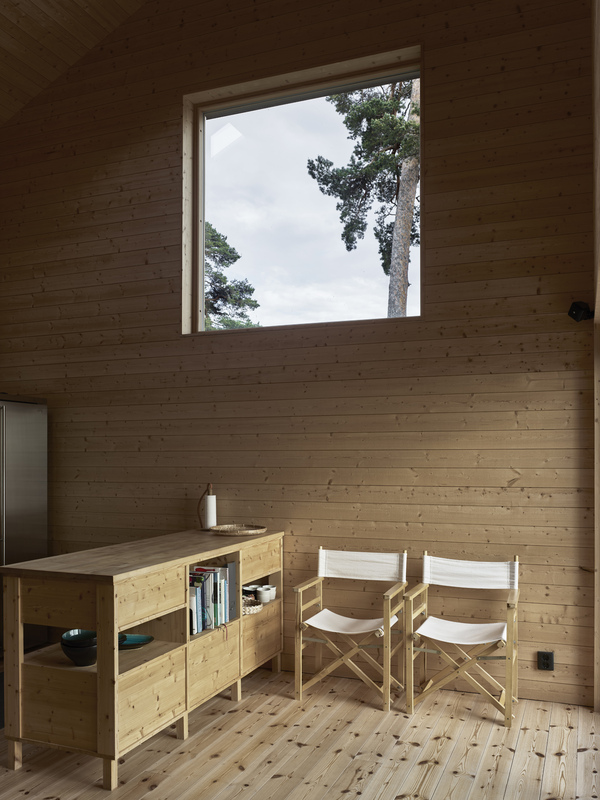 to allow for as much space as possible. 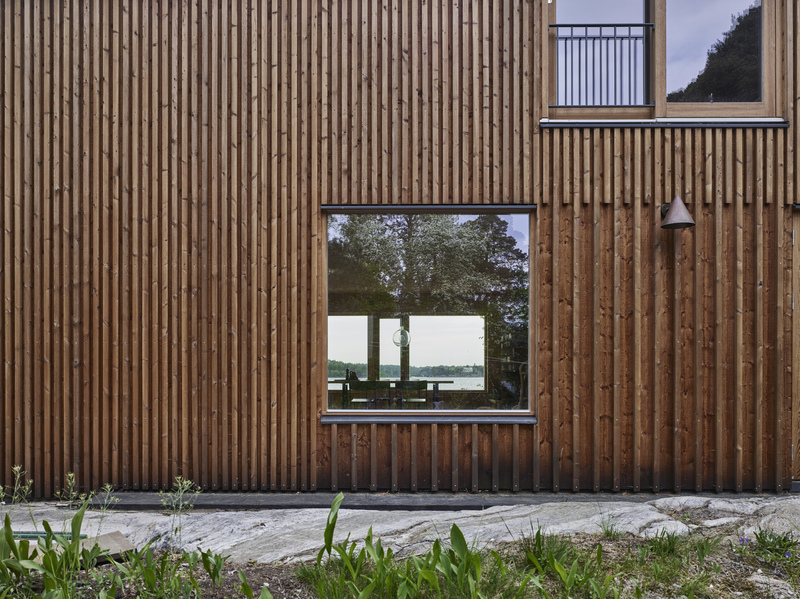 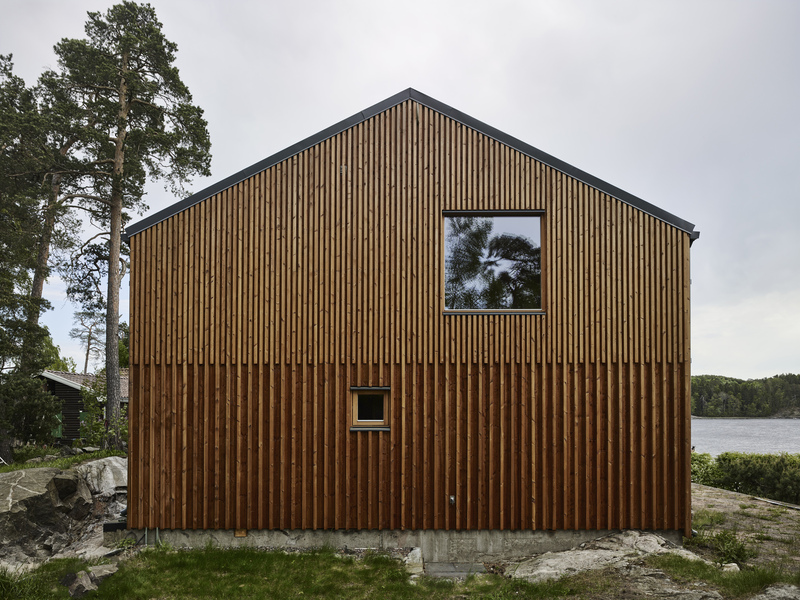 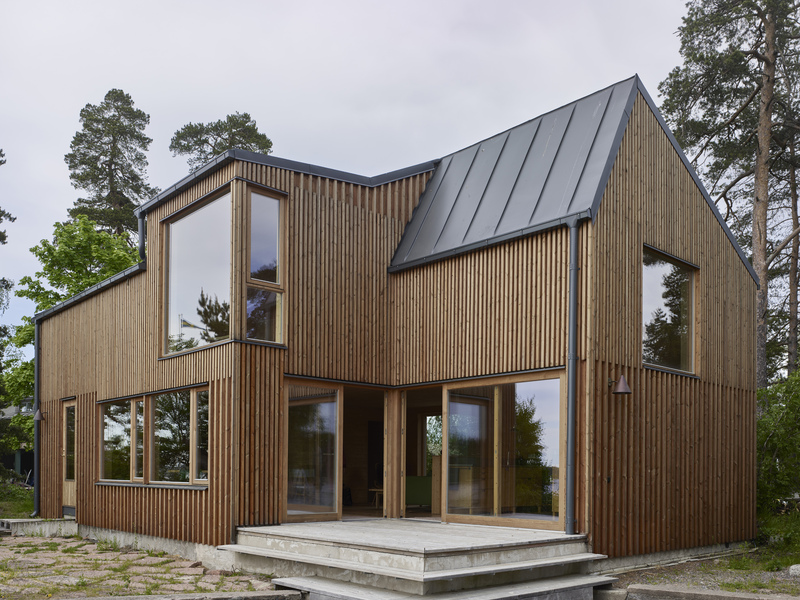 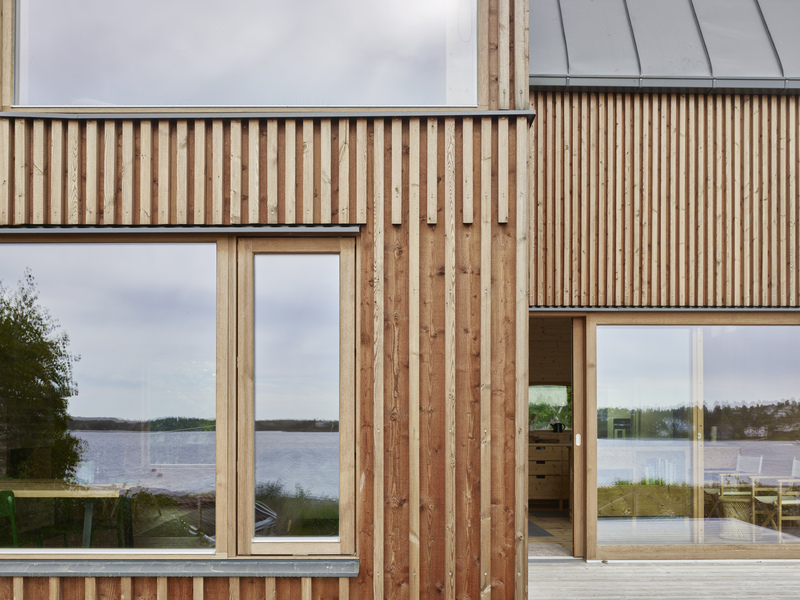 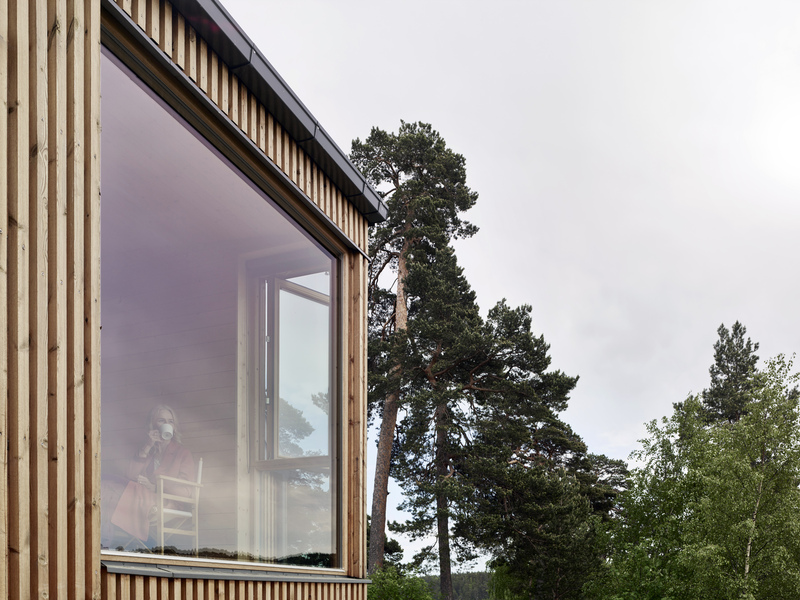 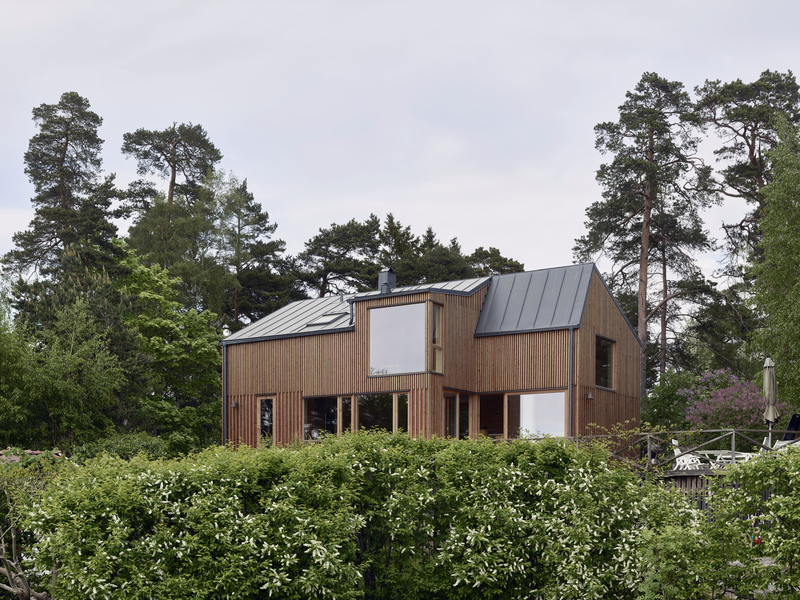 The façade has been divided in groups of windows and cladded with an impregnated pine wood panel. 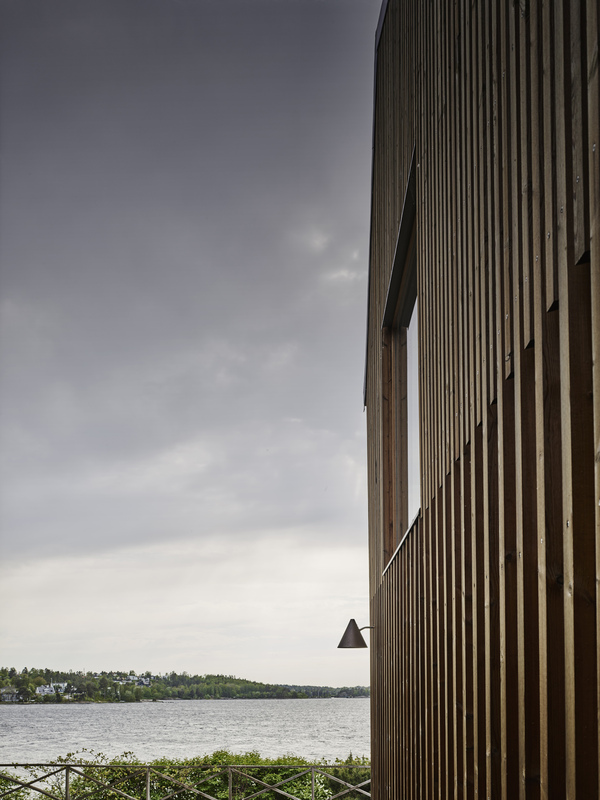 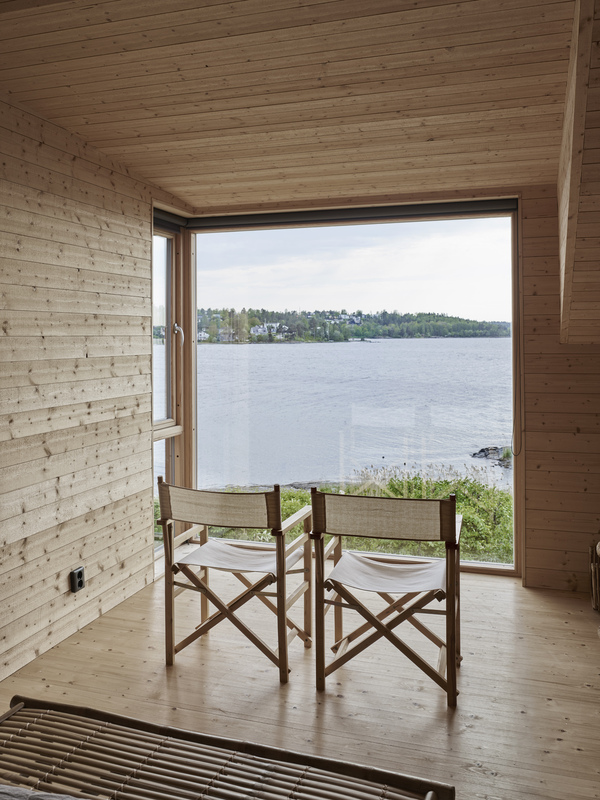 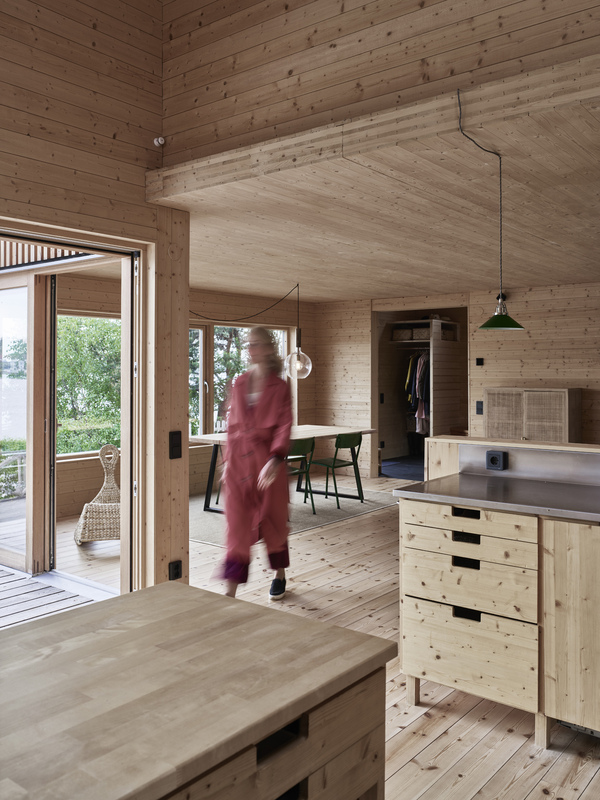 The interior consists of visible laminated timber structure. 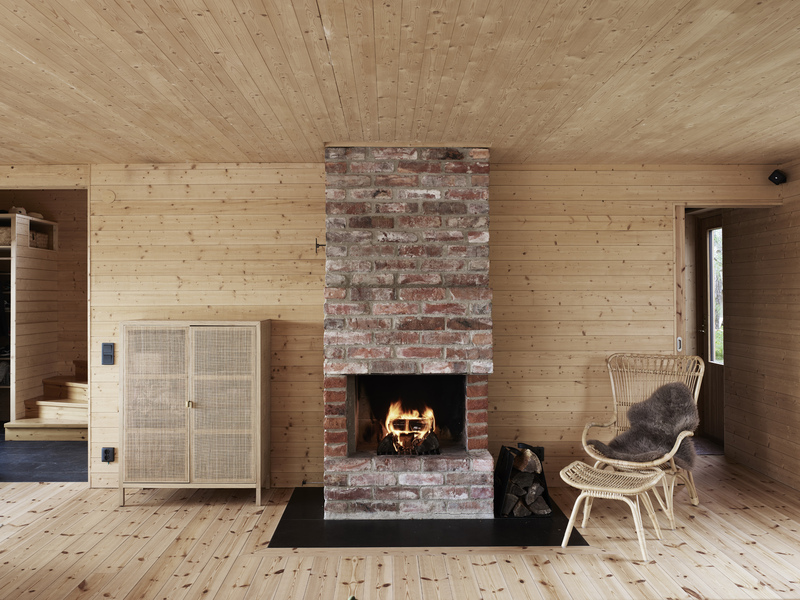 As a memory of the old house, the bricks from the old fireplace were reused and rebuilt into a new, but old fireplace.